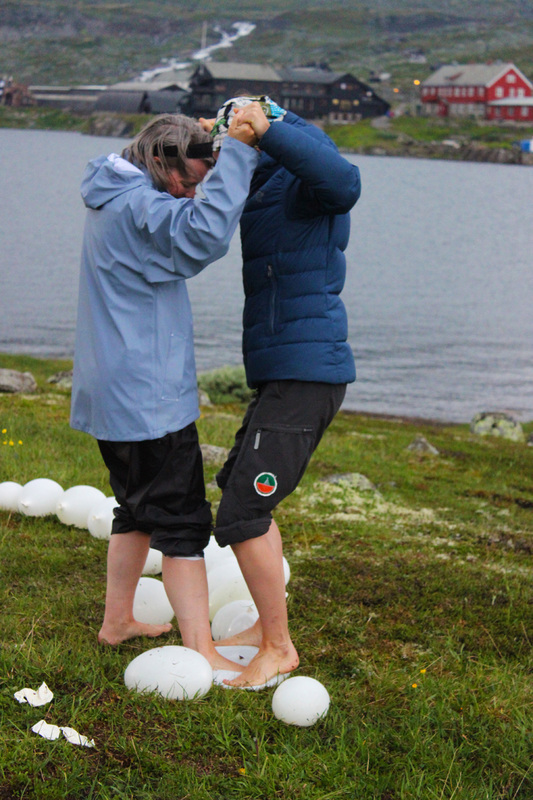 Performance Art Oslo and Performance Art Bergen organized its first performance art camp at Finse. 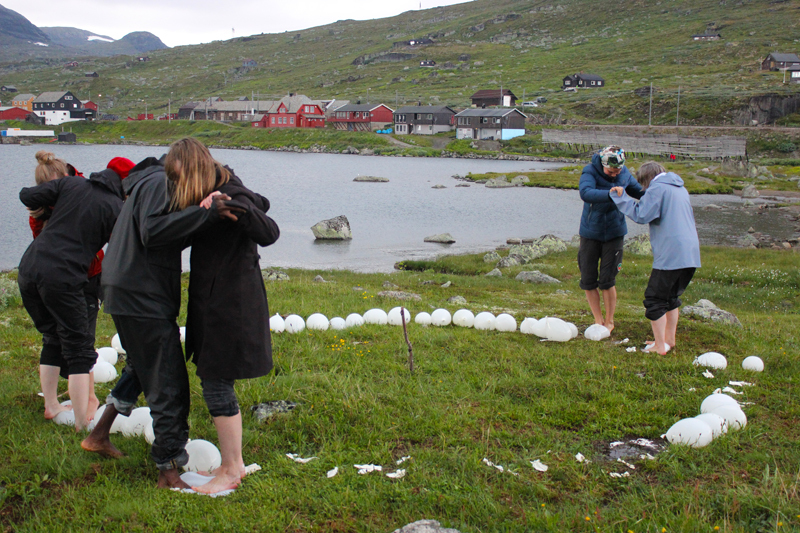 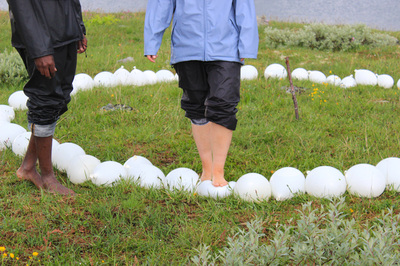 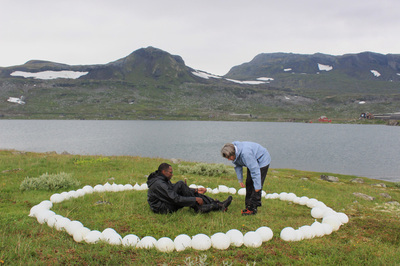 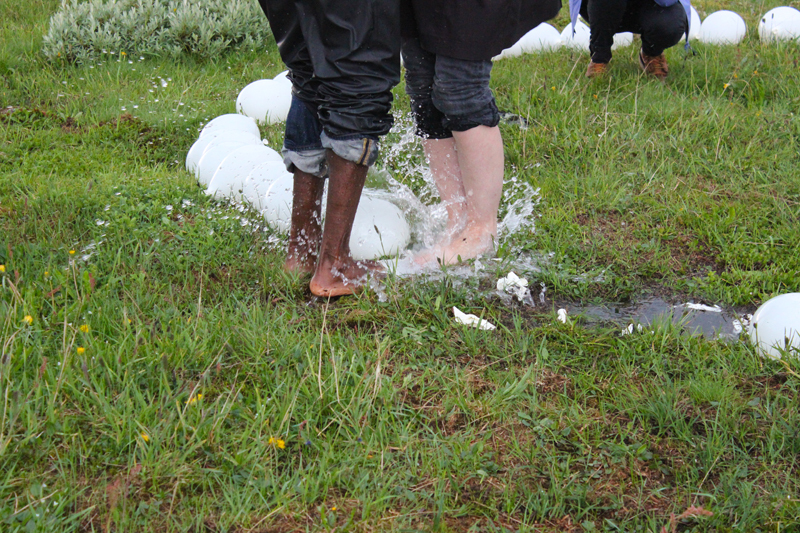 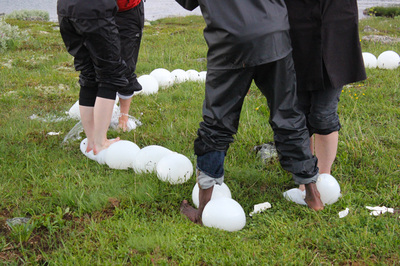 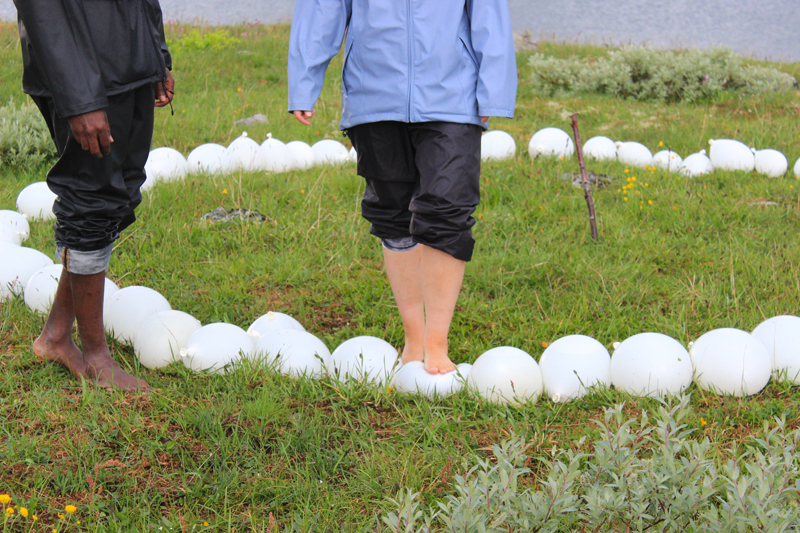 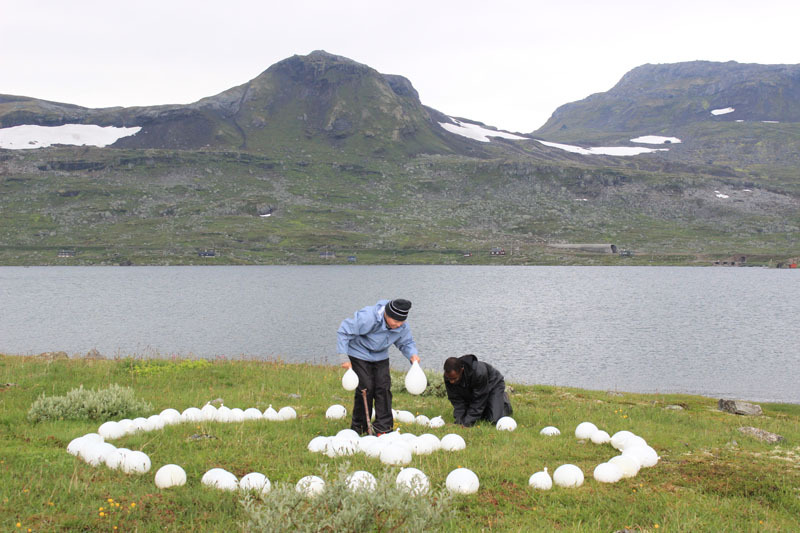 Studio Toad did a performance with white balloons filled with water placed in a circle. 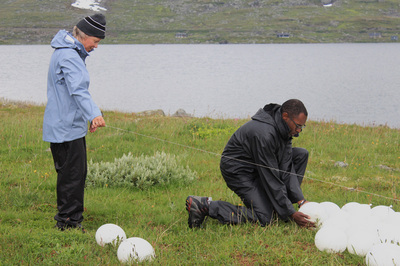 The public was invited to join in pairs, collaborating in crushing the balloons on the grass.